Found this on the Frank Gambale message board - Allan Holdsworth's solo on the Derek Sherinian track "Day Of The Dead" (from Sherinian's Mythology album) is one of my favorite Holdsworth solos in recent years. Guitarist Francesco Artusato has written a fantastic analysis of the solo for the website Guitar Messenger. Working from a transcription by Charlie Shaughnessy, Artusato plays the solo perfectly and breaks down its harmonic and technical aspects. Well worth checking out. All About Jazz has a fantastic round table discussion with Alex Machacek, Jeff Sipe and Matthew Garrison regarding the Improvision album. Some great Allan Holdsworth videos have shown up on Google Video recently. Here are 2 of my favorites. The first is a clip from KUSI News; the second is from a 1987 appearance on the show Rockschool, where Holdsworth demonstrates the Synthaxe. Saw this on Abstract Logix and also the fusenet Yahoo group (thanks John! ): Keyboardist/violinist Eddie Jobson (co-founder of the legendary prog-rock band UK) has announced his new band - UKZ. The band features Aaron Lippert on vocals, Trey Gunn on the Warr touch guitar, Marco Minnemann on drums, and yes, Alex Machacek on guitar. Their debut album is slated for a February 2008 release. They will also be performing a special-event premier concert in Los Angeles on January 25, 2008.
eJazzNews.com is reporting guitarist Mike Stern will collaborate with the Yellowjackets on an album to be released by mid-2008. 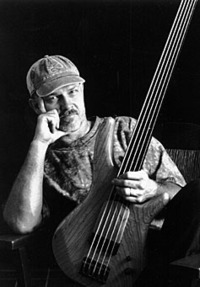 Stern and the Yellowjackets are both on the Heads Up label, and shared the stage during the 2006 Montreal Jazz Festival. 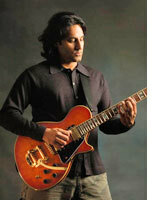 Prashant Aswani will be giving 4 free guitar clinics at various Sam Ash locations in Southern California. Exact dates and locations are below. The clinics are sponsored by ESP Guitars. Check out a video of Prashant demoing some ESP guitars. On November 10th, Steve Morse will be giving a guitar clinic in Italy at the Discoteca Corallo, Viale della Rocca, 10, Scandiano. 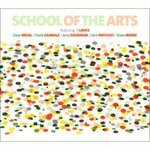 The event is sponsored by the Modern Music Institute.